By Nick Howell on 04/16/2015. Today, NetApp released the OnCommand API Server 1.0RC1. Currently a release candidate, but the future is big for this little gem! OnCommand API Services provides a programmatic way through which partner applications (for example, other management consoles) can issue requests that cause the Unified Manager or Performance Manager tools to execute and return to the issuing partner application the results for a subset of the operations that can be executed from their web UIs. I’m a big fan of this product, as I see this as a big step in the right direction for NetApp. There is so much detail around this product, that it is simply left to those of you devs and 3rd party integrators to check out the documentation. You likely know better than I do exactly what you’re looking for. Point web browser to IP:port and finish setup. 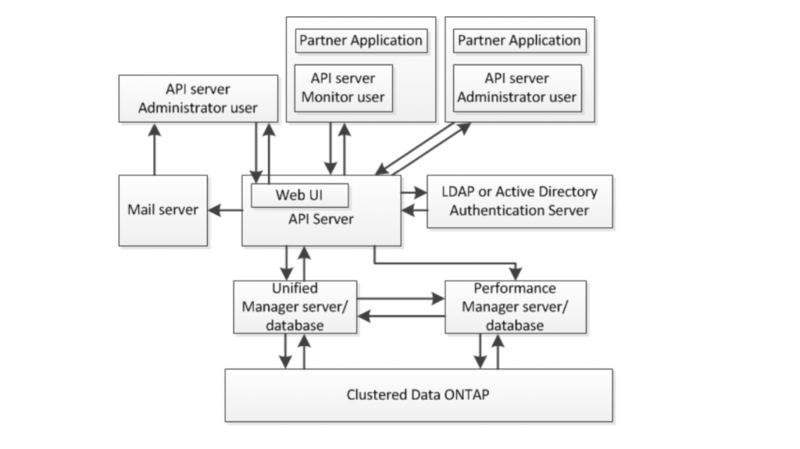 We’re starting with UM and PM products, but I can see this growing in leaps and bounds across the entire suite of what we refer to as “OFFTAP” products and applications. One of the top technology evangelists in the IT Industry, Nick Howell has spent 15 years driving multi-million dollar solutions across multiple Fortune 500 companies and implementing new systems from an engineering, architectural, and consultant capacity across many industry verticals including finance, defense, retail & more.